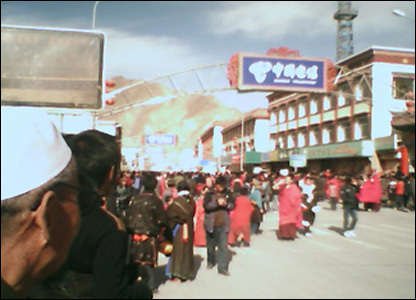 Mobile pictures show Buddhist monks protests are also growing in other areas. 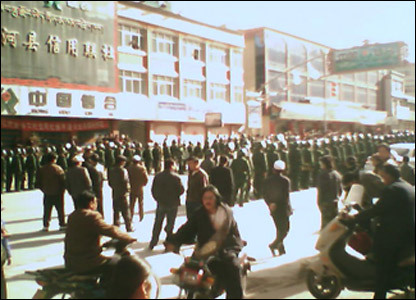 These pictures were sent to the Tibetan Centre for Human Rights and Democracy (TCHRD) from the north west Gansu province. 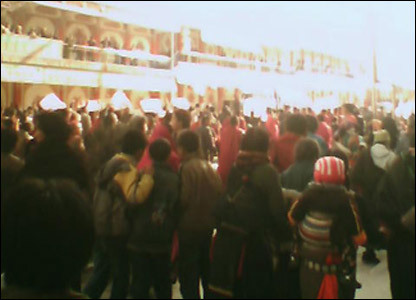 Reports say hundreds monks from the Labrang Tashikyl Monastery staged a demonstration calling for Tibetan independence. 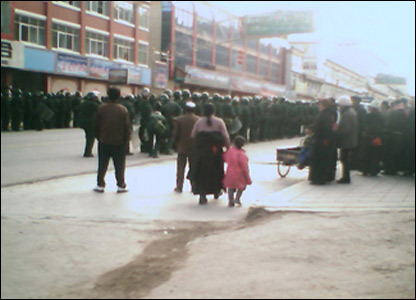 According to the THRCD, the police started to fire live ammunitions in the air and started to beat the demonstrators. 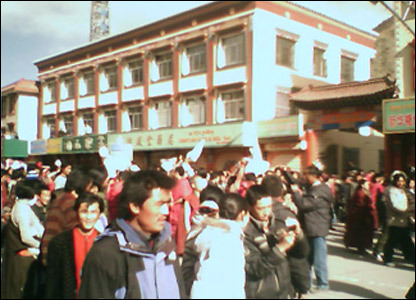 The unrest follows three days of protest by Buddhist monks in Lhasa and India when a number of monks were reportedly arrested after a march. 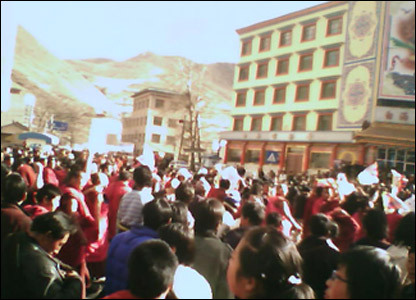 The monks were marking the 49th anniversary of a Tibetan uprising against Chinese rule. 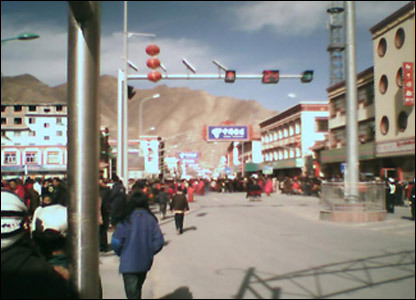 Send your pictures and videos to: yourpics@bbc.co.uk. For terms and conditions see right hand side.